Has anyone seen the new marble inspired Caesarstone range? I noticed it a few days ago when searching for pics of our bench colour. When deciding on what to pick for our bench tops I was frustrated that most of the caesarstone range consists of speckled patterns when what I kept thinking was why don't they bring out a range that looks like marble? Well they must have heard me as they have done just that. I rushed around Saturday morning trying to find a kitchen company open to pick up a sample but no luck. Had to wait till Monday afternoon before I could get my hands on a sample of the Carrina Frosty and it really is lovely. 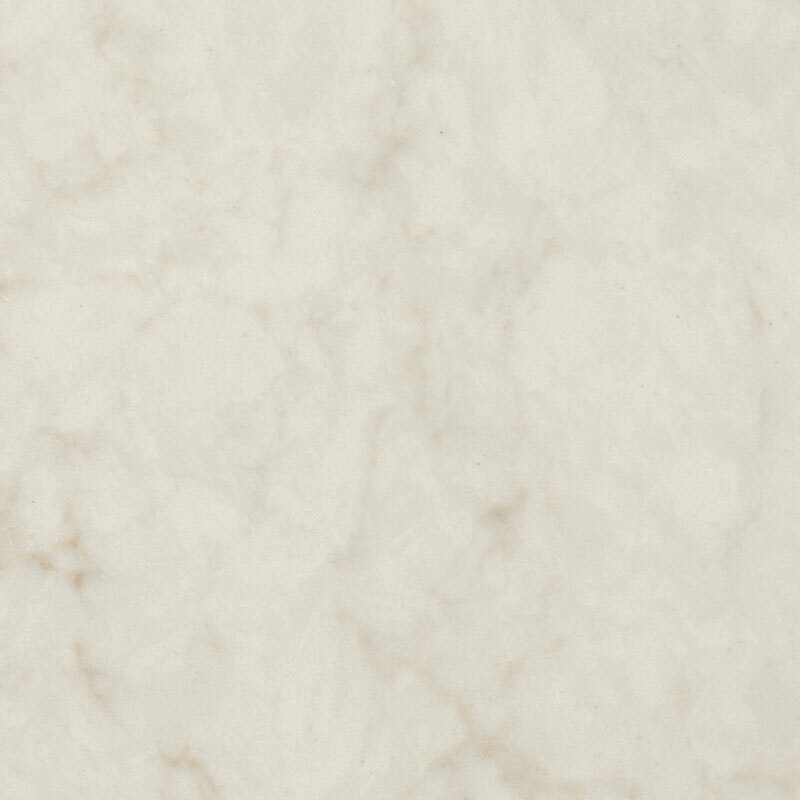 While not technically too late to change our selection to this, I decided to stick with my original choice as I was worried it was a little to bone coloured against my other selections but for anyone who wants marble but are not able to have it through their project builder this is a lovely option I think. I notice M only give you a few options. If you choose anything other than their standard option, then it costs you more. Hi JayJay, Yes that's right, we realised that when we had a wander through studio M. We ended up going for an upgraded colour and obviously the Supernatural range would not be a standard colour choice, it became pretty obvious that if I liked something it was sure to be an upgrade. Thanks for your comment. Hi Tash, we are considering the London Grey but understand it is in the most expensive tier of the classico range. We would have to upgrade as we only have choice of the standard. Is it significantly more expensive than the standard range? Thank you for your help! Hi Min, I don't know how much more expensive it is than the standard range. It would depend on your builder and how big your kitchen is in figuring out the final cost. I know with our builder they don't give out costs, you only find out the cost of most upgrades to kitchen after colour selection appoinment. Could you possibly add it in at colour selections then drop it back to standard if the quote comes back to high? Hi Tash, thanks for your reply and yes I'll go with your advice and put it in at colour selections and go back if it comes back scary. Sorry I didn't really introduce myself, I found your blog via homeone (under southern-highlander) and have been following your build. I'm really excited about yours because we have similar tastes and I like that you are doing something a bit different. I spend too much time looking at Houzz and have big plans to replicate some of the looks! Love your pendant lights by the way, absolutely stunning. I'll see you over at homeone, thanks again for your help! I was looking at those two versions of Caesarstone marble looks but they aren't released in the US as yet. You mentioned bone colored. Are they not carrara look alikes? 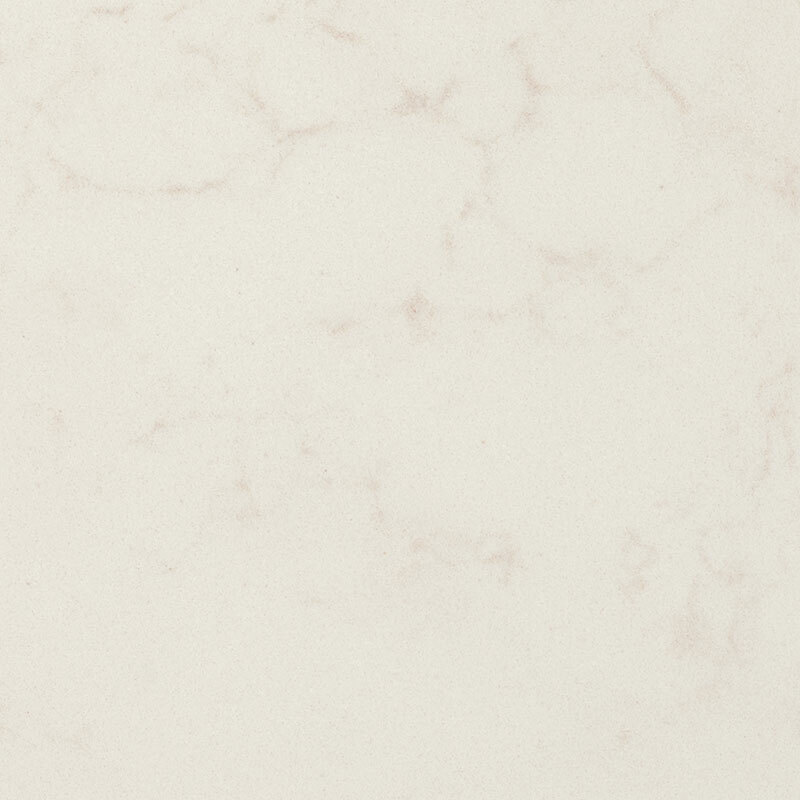 Are they more of a creamier calacatta background color? Do they read as pale beige against a creamy off-white. Would love any feedback you can give me on these. Is the background whiter than Misty Carrara which looks like a pale gray when used with white. Hi Sheellah, my little sample piece that I have is really quite beigeish and the vein running through looks more a light brownish shade. When I hold my sample piece up near our very white subway tile it definteley looks very bonish kinda beigy coloured although keep in mind I am just going off this small sample. Having only seen Carrara in person once and looking on Houzz real Carrara Marble seems to be whiter perhaps with more of a grey vein, I think the Frosty carrina is more like Calcutta marble with the light brown vein. All I can say is it threw too much of a "beige" kinda colour for me and that was why I opted not to go with it as I was looking for more a whiter base with a grey vein. I have never seen the Misty Carrara and had to look it up as I don't think we have it here in Australia? Anyway from pics on Houzz it looks more whiter with grey to my eye than the Frosty Carrina and so yes I think its background is whiter than my sample of Frosy Carrina.